Blueberry tea, made from the fruits or leaves of the blueberry plant, is an herbal infusion with a host of medicinal properties that can be relished either iced or hot. Blueberry, though a native of North America, is grown today all over Australia, New Zealand as well as South America. 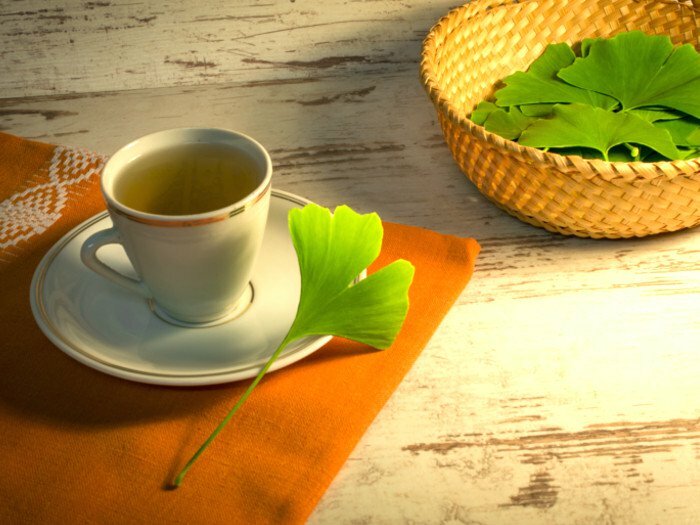 The presence of antioxidant, anti-inflammatory and other health benefits led both the fruit and its leaves to be used as ingredients for making a nourishing tea that is gaining prominence throughout the world. The tea’s content of a copious amount of anthocyanins that exhibit antioxidant properties protects the brain against oxidative stress by neutralizing free radicals, thereby proving useful against memory loss as well as in certain neurodegenerative diseases associated with age.Blueberries can be mixed with caffeinated teas like white tea, green tea or black tea and enjoyed to make proper use of its antioxidant properties. Another benefit of the antioxidants present in blueberry is its positive impact in combating colon, prostate, breast, cervical and lung cancer by preventing the formation of free radicals. 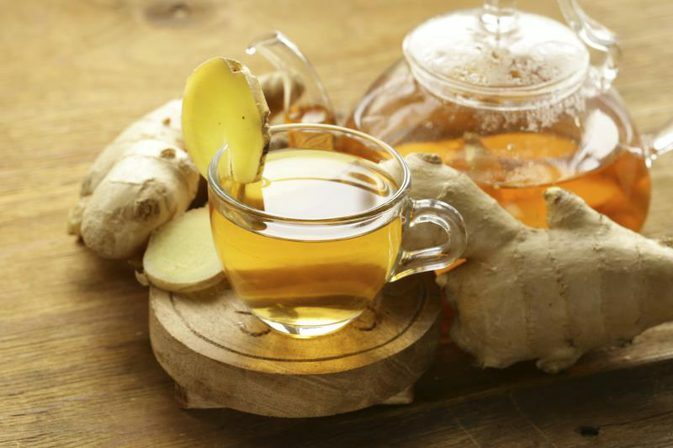 Studies have shown that gallic acid in the tea may destroy cancer cells without causing any harm to the healthy cells. However, this fact needs more research. 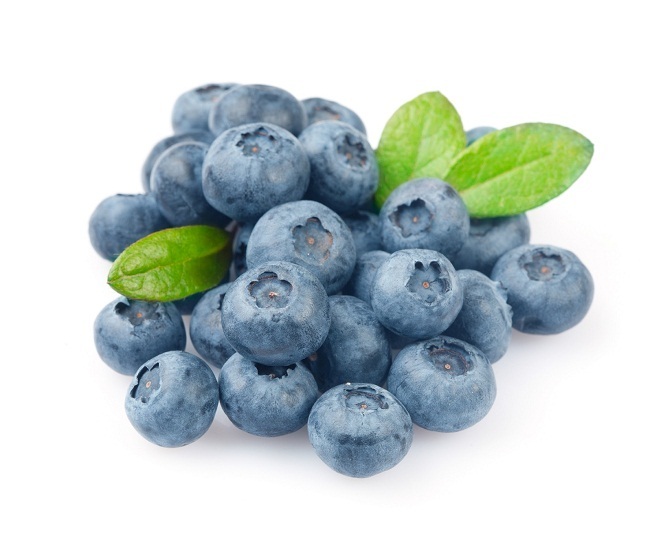 The anthocyanins present in blueberry exhibit antioxidant properties, therefore facilitating in repairing any damage caused to the eye because of the free radicals. In fact, the anthocyanins also go on to repair the retinal nerve cells by increasing the flow of blood and fastening the production of a protein present in the retina named rhodopsin which is instrumental in light detection. 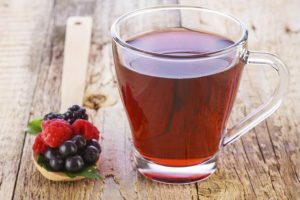 Hence a cup of blueberry tea every day would help to maintain a sound eye health, eliminating risks of certain common problems like glaucoma, night blindness, and cataract. The anthocyanins present in the tea are said to be anti-diabetic in nature, primarily because of their antioxidant properties, facilitating in improving insulin resistance, protecting the pancreatic β cells, enhancing insulin secretion, and lessening sugar digestion in the small intestine. Certain clinical trials hold that blueberry leaf tea may decrease blood sugar to 27%. 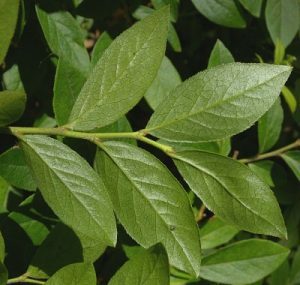 According to some studies, the components, epicatechin, and proanthocyanidin found in the leaf tea help to promote liver function by resisting hepatitis C virus replication. 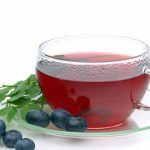 Enhancement of microcirculation by the anthocyanins present in the tea increases the flexibility of the capillaries, which in turn may help by easing circulation. 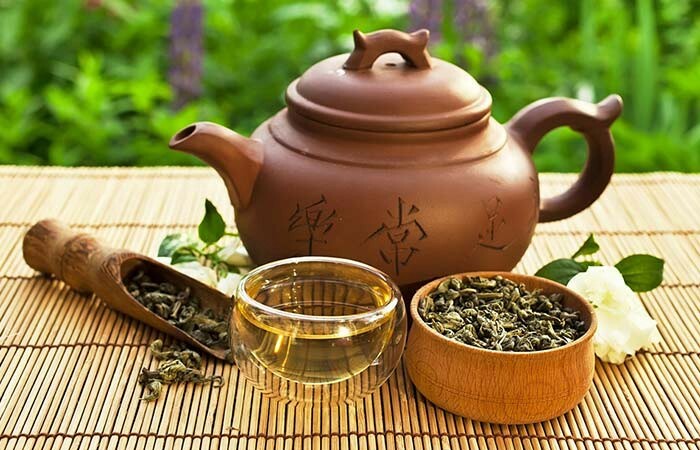 The tea’s protection of LDL (low‑density lipoprotein), from oxidative damage, also seems to benefit heart health since higher LDL levels increase the risk of heart attacks. According to several studies, a cup of blueberry leaf tea may decrease triglycerides to 40% thereby lessening chances of cardiovascular diseases. 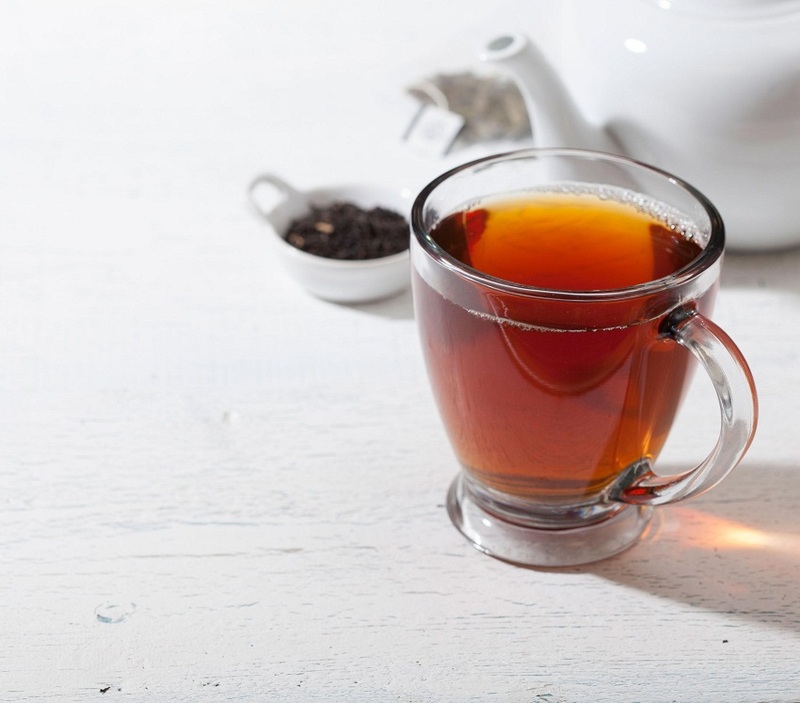 Being low in glycemic level and calorie content as well as having a high amount of fiber, this tea helps in controlling weight by delaying hunger cues, thereby proving beneficial for weight loss. The presence of ellagic and hippuric acid in the tea restricts bacteria from getting attached to the urinary bladder walls by acidifying urine, thus helping to prevent urinary tract infections. Hippuric acid further removes calcium oxalates, that are responsible for the formation of kidney stones. Moreover, its detoxifying properties even help in flushing out the toxins from the body, thus resulting in a sound health. 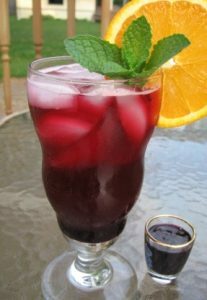 Vitamin C found in blueberry tea works towards producing and activating specialized white blood cells that provide protection by fighting against foreign bodies, thereby lessening the occurrences of cold and flu, helping to maintain a sound overall health. The tea’s content of gallic acid along with hydroquinone, serving as effective anti-vomitive and astringent agents may help in treating nausea, indigestion, and diarrhea. 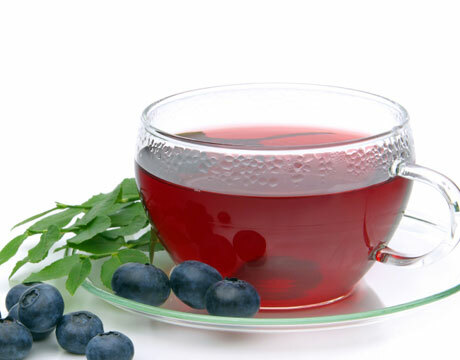 Further, the bacteriostatic property of gallic acid along with malic acid and quercetin seems to tackle inflammatory bowel ailments by restricting bacteria growth in the gut, helping in a smooth digestion.Better microcirculation brought about by blueberry tea helps the capillaries that serve the digestive system’s mucous membrane, while the presence of caryophyllene may aid in eliminating bloating. The presence of proanthocyanidins in blueberry tea may facilitate hair growth by stimulating the production of new cells. Besides drinking it you may also cool and apply an infusion of the same on your hair to yield positive results. You may also add leaves along with the berries for a greater antioxidant benefit, but they may contain caffeine. You may also add hibiscus flowers or pomegranate juice to the decoction when it is boiling to get blueberry hibiscus and blueberry pomegranate tea respectively. Although the tea does not seem to have any side effects, overconsumption may cause stomach upset and diarrhea. The tea being a storehouse of nutrients may serve as a healthy beverage during pregnancy, but pregnant mothers should take it only after consultation with a doctor. 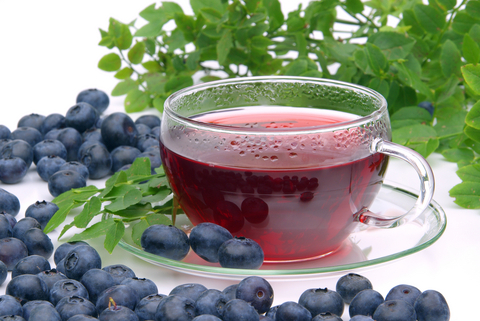 Breastfeeding mothers should also take the advice of doctors before having blueberry tea. 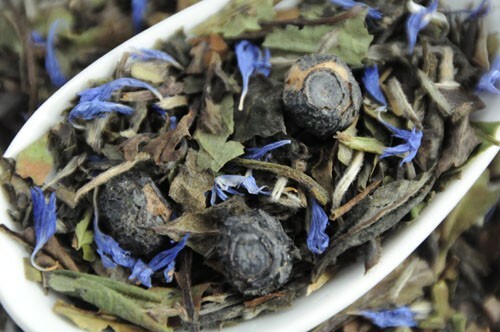 You can buy blueberry tea powder or tea bags online as well as in herbal stores.